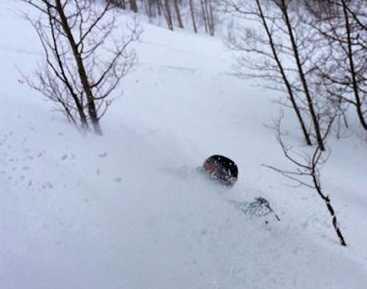 March came in like a snow lion at Vail and Beaver Creek over the weekend, dumping nearly a foot of new snow at Vail and 14 inches of fresh at the Beav’. Deep powder in the Back Bowls at Vail on Saturday (Vail Resorts photo). The new pasting brought Vail’s season total to the magical 250-inch mark, or more than 20 feet of snow so far this season, with nearly two months of snow riding still to go (closing day is Sunday, April 20). Vail averages 350 inches a year and saw a monster April last season, with nearly 100 inches of snow allowing the company to re-open the mountain for additional skiing. According to forecasters, the snow cycle will continue this week. “A few inches of snow is possible for the northern mountains on Monday evening, then a stronger wave will bring 3-6 inches to most mountains Tuesday night,” meteorologist Joel Gratz wrote this morning on Opensnow.com. But the new snow and wind has made conditions increasingly dangerous in the backcountry. The Colorado Avalanche Information Center (CAIC) rated the avalanche danger in the Vail and Summit County backcountry as “considerable” on Saturday.